Supergiant lost three wickets in the last over — bowled by Mitchell Johnson (3-26) — to be restricted to 128-6 after Mumbai Indians scored 129-8. Supergiant needed 11 runs off the last over but Johnson dismissed Manoj Tiway and top-scorer Steve Smith (51) off successive deliveries after conceding a boundary off the first ball. But Johnson conceded only 5 more runs off the next three deliveries as Dan Christian was run out off the last ball while going for the third run to tie the match. Jaydev Unadkat (2-19) rattled the top order with two early wickets and then Adam Zampa got the prized wickets of Rohit (24) and Kieron Pollard (7). Needing 30 off the last three overs, Lasith Malinga gave away only seven runs in the 18th before Smith hit Bumrah for a six in the next over and brought the target down to 11 off the last six balls. 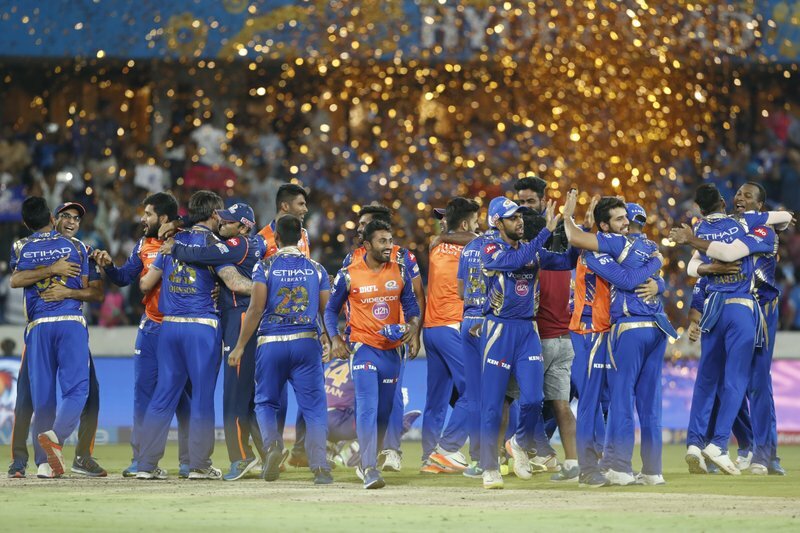 It was Mumbai Indians’ first win against Supergiant this season after losing both its league matches and also the first qualifier. 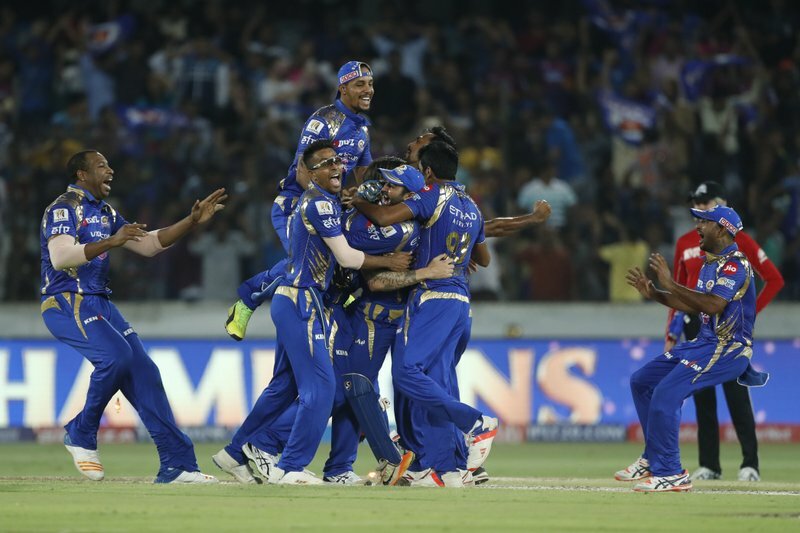 Mumbai Indians’ earlier IPL titles came in 2013 and 2015. 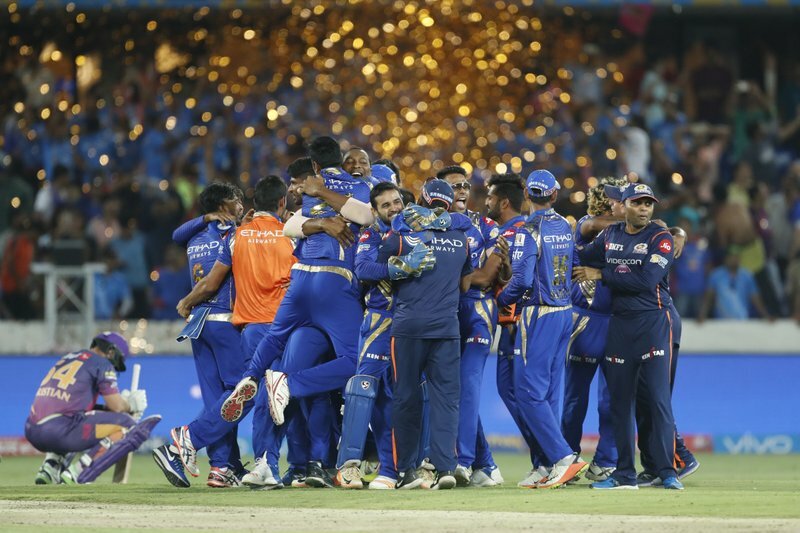 Mumbai Indians celebrate after winning the Indian Premier League (IPL) cricket final against Rising Pune Supergiant in Hyderabad, India, Sunday, May 21, 2017. 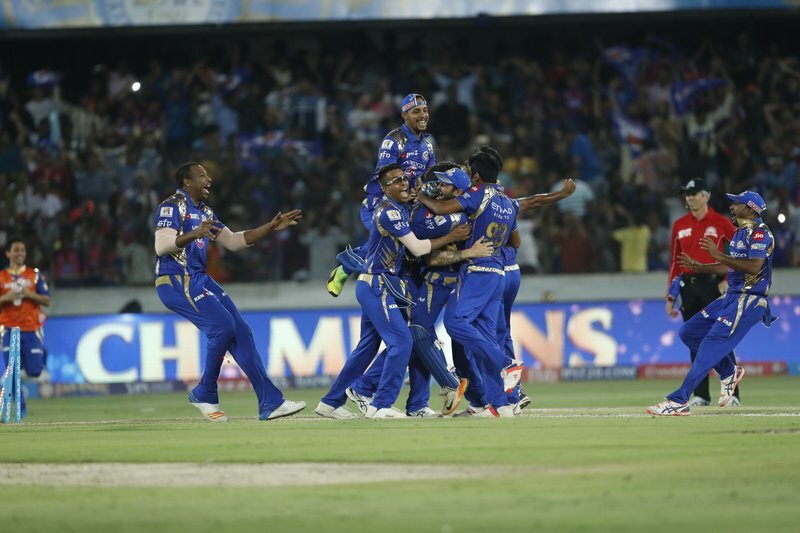 Mumbai Indians’ Jasprit Bumra, left, celebrates the dismissal of Rising Pune Supergiant’s Mahendra Singh Dhoni during their Indian Premier League (IPL) cricket final match in Hyderabad, India, Sunday, May 21, 2017. 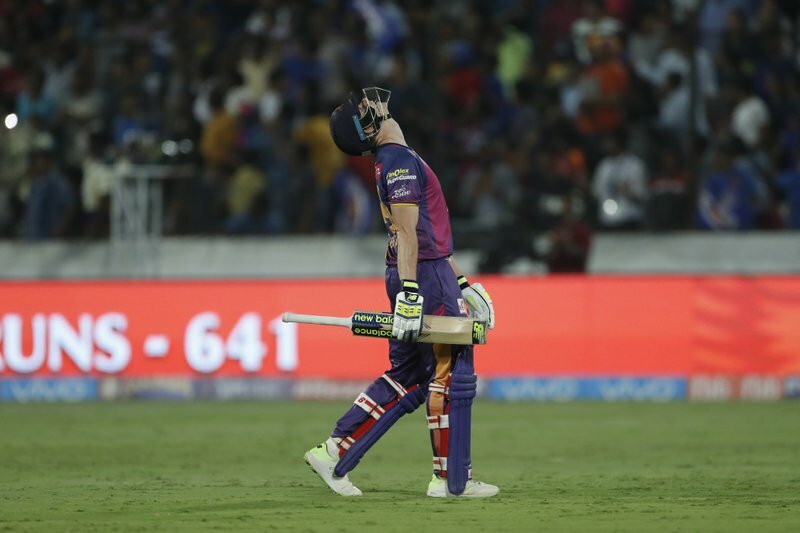 Rising Pune Supergiant’s captain Steven Smith gestures after his dismissal by Mumbai Indians’ Mitchell Johnson during their Indian Premier League (IPL) cricket final match in Hyderabad, India, Sunday, May 21, 2017. Mumbai Indian won by one runs. 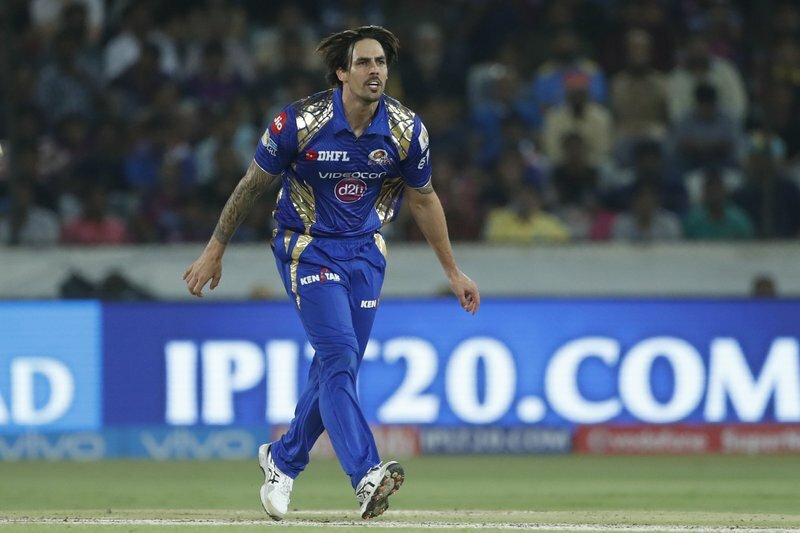 Mumbai Indians’ Mitchell Johnson gestures after a delivery during the Indian Premier League (IPL) cricket final match against Rising Pune Supergiant in Hyderabad, India, Sunday, May 21, 2017.